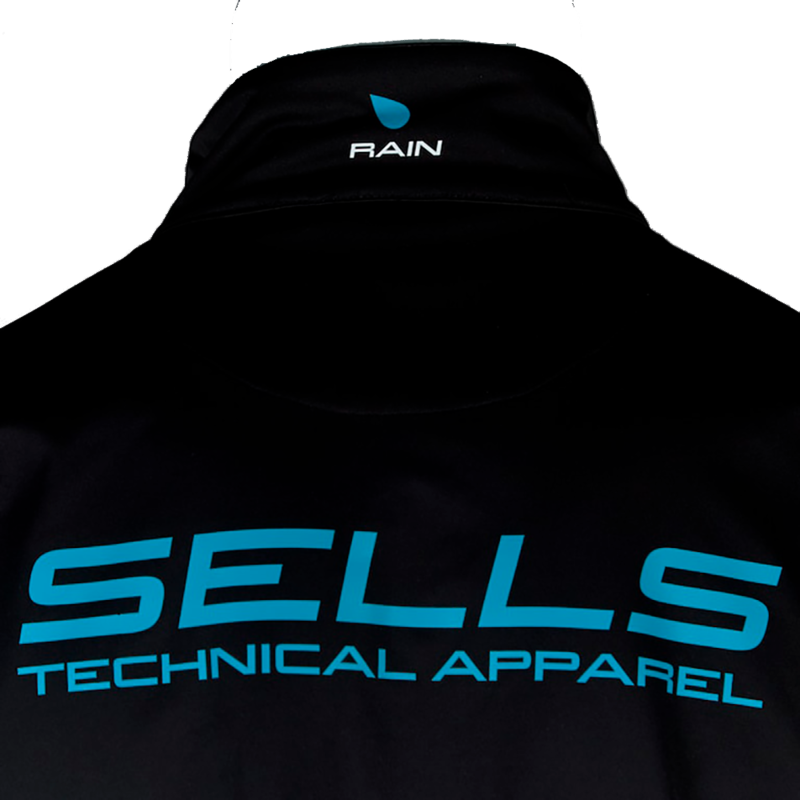 Sells waterproof quarter zip rain jacket for goalkeeper training and match play. 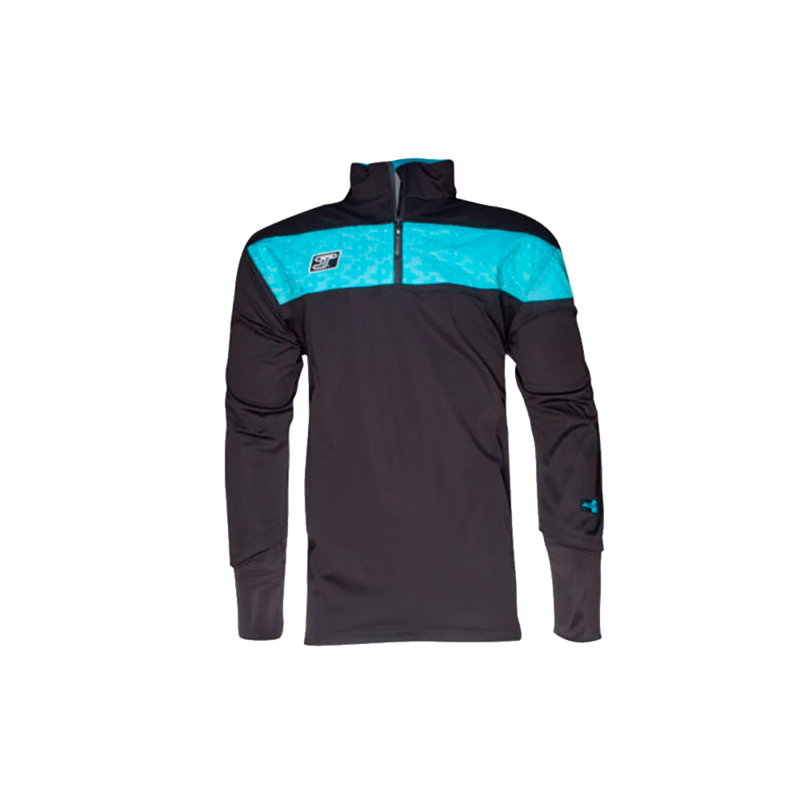 The 3 layer bonded material keeps water and cold out and warmth in. This garment is the perfect training top for all goalkeepers for when the weather is less than favorable. The Aqua Training Top provides flexible, breathable and waterproof cover for use in the worst of conditions. The specially selected 3 Layer Bonded fabric provides a waterproof shell with breathable inner, all with the lightest of weight which does not restrict your movement. No padding in this rain jacket. The high fit neck with quarter length front zip provide a snug fit whilst the fleece inner collar provides comfort and warmth. 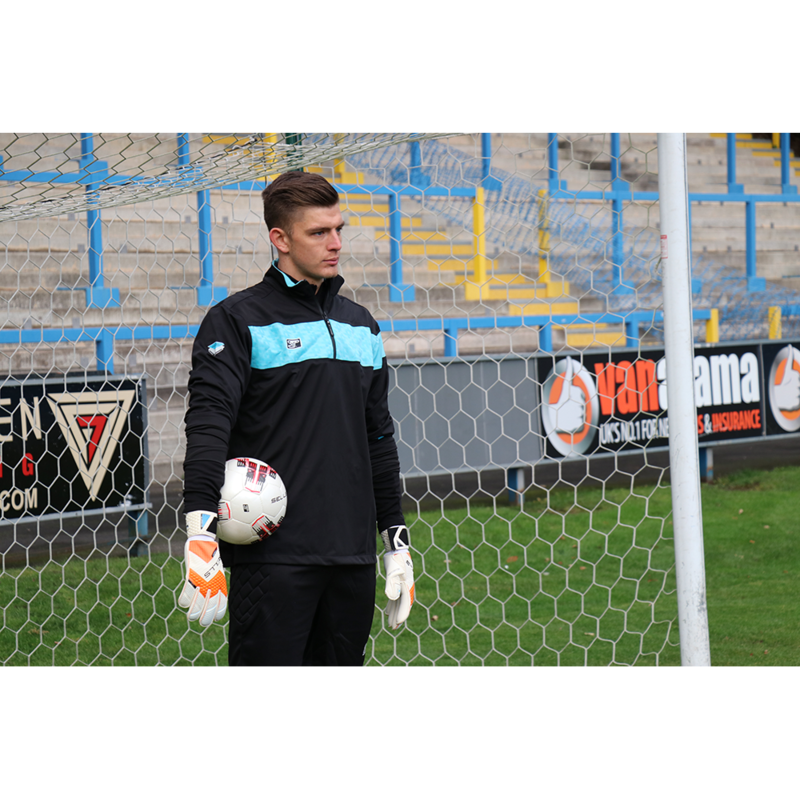 The Aqua Training Top sleeves have been specifically designed for use with the cuffs of goalkeeper gloves. The sleeve ends are fitted with Elastane inners allowing the sleeves to be cinched up or worn at full length without interfering with handling. Amazing! This jacket feels great and looks great too!